Little Green Wonder is wonderful overdrive with great clean boost option. It accomplishes two things that I haven’t found in anything else: it works with clean Fender blackface amp just perfectly and you can get a really nice little breakup tone from it even with powerful pickups like P-90s. Auto Wah is just plain fun to use and makes my playing funkier when switched on!! Highly approved!! 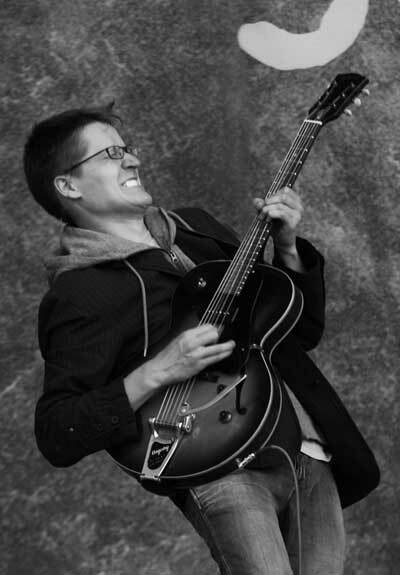 Teemu Viinikainen has become one of Finland’s hardest working jazz guitarist and he has played with many leading jazz artists like Joe Lovano, Randy Brecker, Tim Hagans and Vince Mendoza. He also teaches guitar at the Sibelius Academy’s Jazz Department and has recorded many albums as a sideman including four releases for legendary Blue Note-label.